This is a family room suitable for 2 adults and 1 child aged 6 to 15 years. En-suite bedroom with double bed and single bed to suit either children or adults. 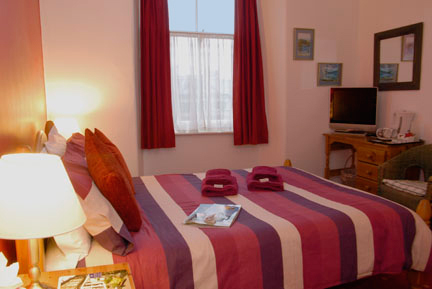 Room is well furnished with a hospitality tray and colour TV and welcome pack.